HomePotager Gardening — Everyone should do this! 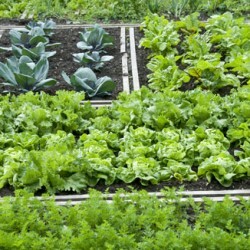 This is a great article from Urban Farm magazine about the joys of growing your own vegetables for your kitchen. Read Amy Grisak’s article below or click HERE to go to the online article. delectable food just steps away from your kitchen. A good cook’s secret is to have the freshest ingredients on hand. So nothing is better than creating a kitchen garden, or jardin potager,which means “for the soup pot” in French, close to the house. Potagers have been around since before medieval times, yet are gaining popularity today as modern cooks want freshness and convenience.